Hardly a day passes without prominent journalists, policymakers, academics, or scientists calling attention to the worldwide scale of the environmental crisis confronting humankind. While climate change has generated the greatest alarm in recent years, other global problems - desertification, toxic pollution, species extinctions, drought and deforestation, to name just a few - loom close behind. The scope of the most pressing environmental problems far exceeds the capacity of individual nation-states, much less smaller political entities. This disjuncture between the enormous scale of challenges confronting the global community and the inadequacy of existing governmental mechanisms is, of course, a familiar feature of international affairs in the era of accelerated globalization since the end of the Cold War. As flows of money, goods, labor, and information (not to mention pollutants) have become increasingly global, governments have failed to keep pace by establishing new cooperative regimes or ceding authority to supranational regulatory institutions. Moreover, just as the problems confronting them have become more acute, nation-states have seen their authority diminished by economic globalization, the growth of non-governmental activist groups, and the accelerating flow of information. If such challenges are becoming more extreme in recent years, however, they are not as new as some commentary might suggest. 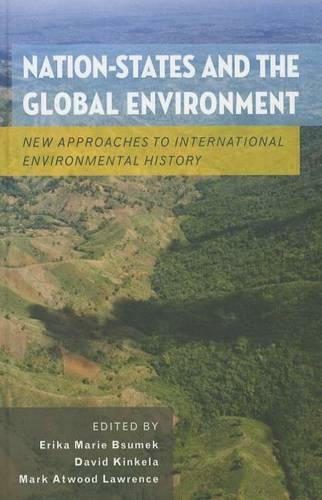 As this book shows, nation-states have long sought agreements to manage migratory wildlife, just as they have negotiated conventions governing the exploitation of rivers and other bodies of water. Similarly, nation-states have long attempted to control resources beyond their borders, to impose their standards of proper environmental exploitation on others, or to draw on expertise developed elsewhere to cope with environmental problems at home. This collection examines this little-understood history, providing context, reference points, and even lessons that should inform ongoing debates about the best choices for the future.